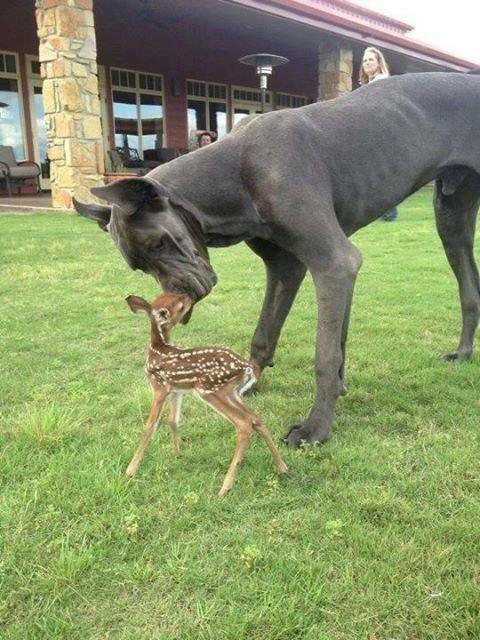 There are so many reasons to find Great Danes charming. The breed is wildly popular, despite needing lots of space – they average about 30″ in height and weigh in at an average of about 150lbs, though they don’t seem to notice. 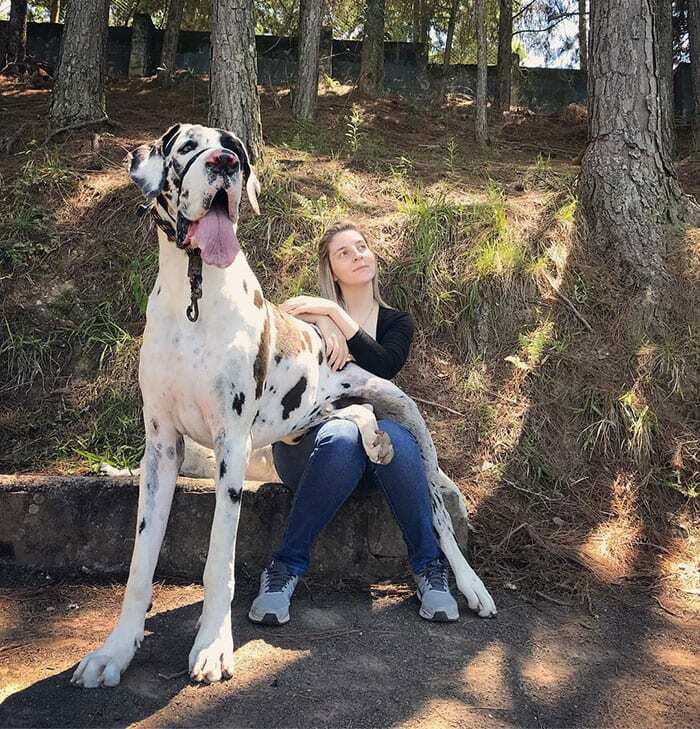 According to the American Kennel Club, they are originally a German breed, and no one knows how they became associated with Denmark (and got the “Dane” in their breed name). Great Danes are what’s known as “working dogs,” originally bred for tasks such as hunting. And while they are attentive guardians that can be called to duty if trained properly, if they’re kept as pets they can be delightfully lazy – perfect companions for Netflix and chill, without the drama. They’re also known for being kind and gentle with kids and other pets. Any time they’re around their much smaller roommates is a great opportunity for a photo shoot! 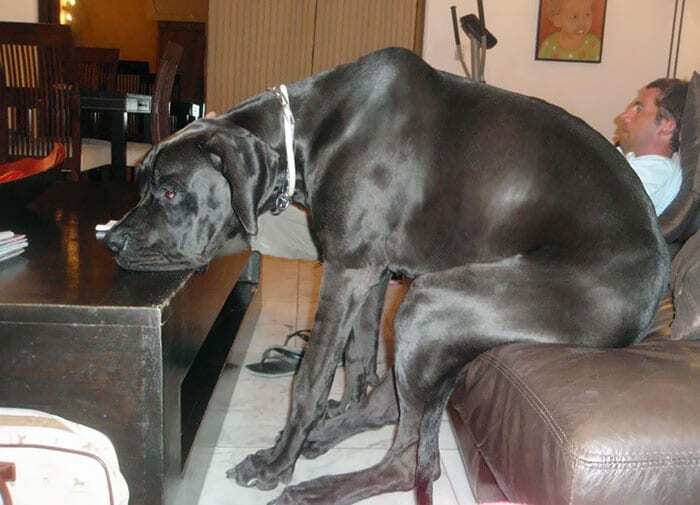 Many Great Dane owners know the futility of trying to keep their dogs off the couch. 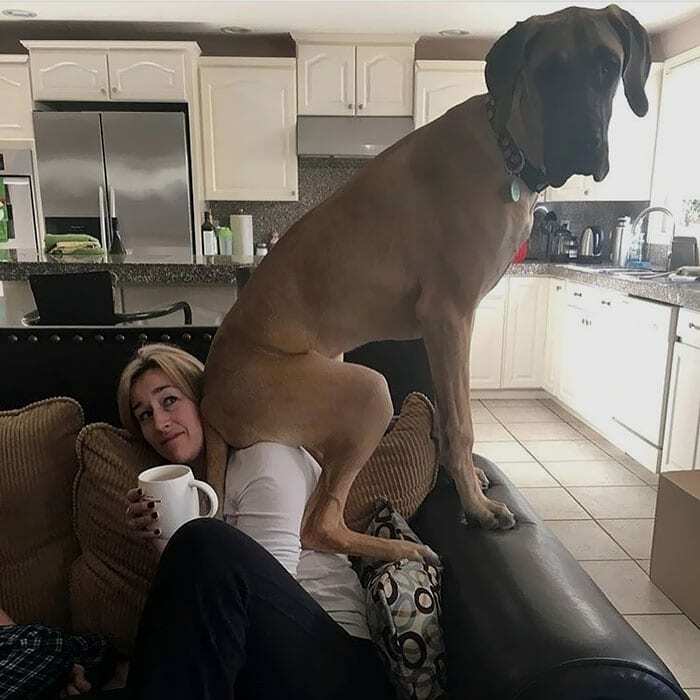 They enjoy a good sit, showing just how much taller they are than their humans. This guy seems pretty bored with whatever his owner is watching, but is still happy to hang out. 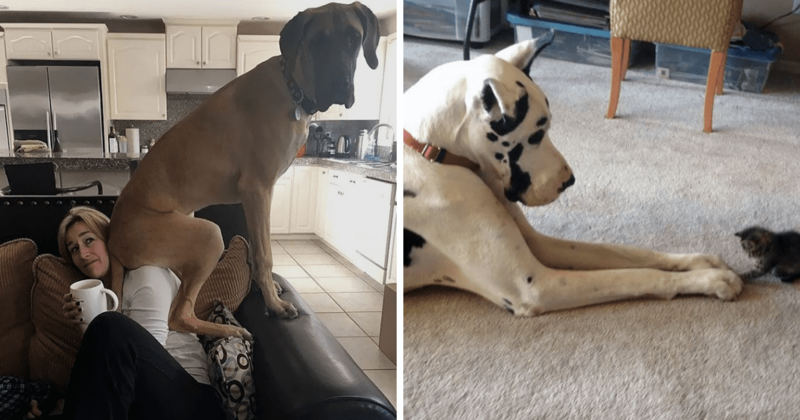 Great Danes are also known to be pretty social. 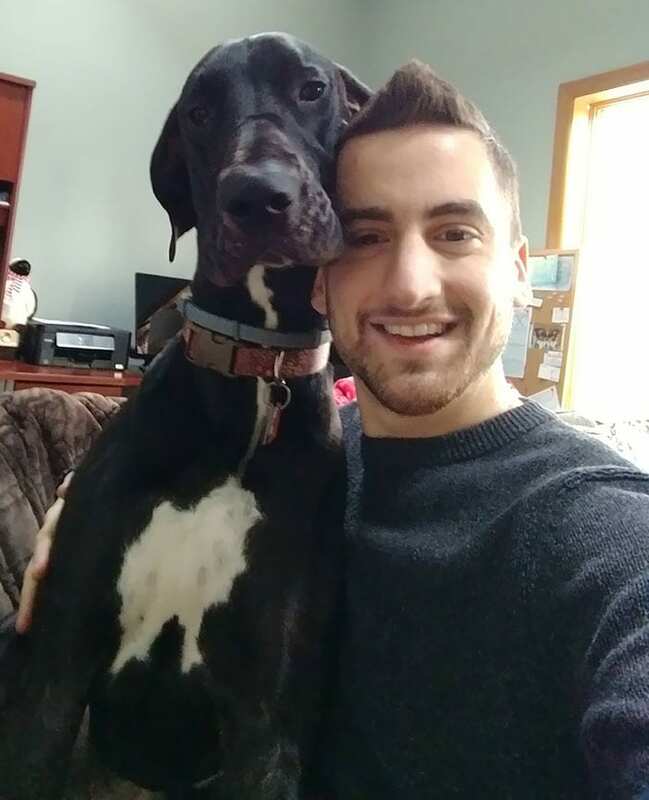 This Redditor even taught his to pose for selfies. He says “if I’m sitting and extend my arm with my phone in hand, she plops up next to me, leans, and gives the camera this look.” We think she’s pretty photogenic! Daily exercise is important for any pet (or pet owner), but this breed is also known for being couch potatoes. 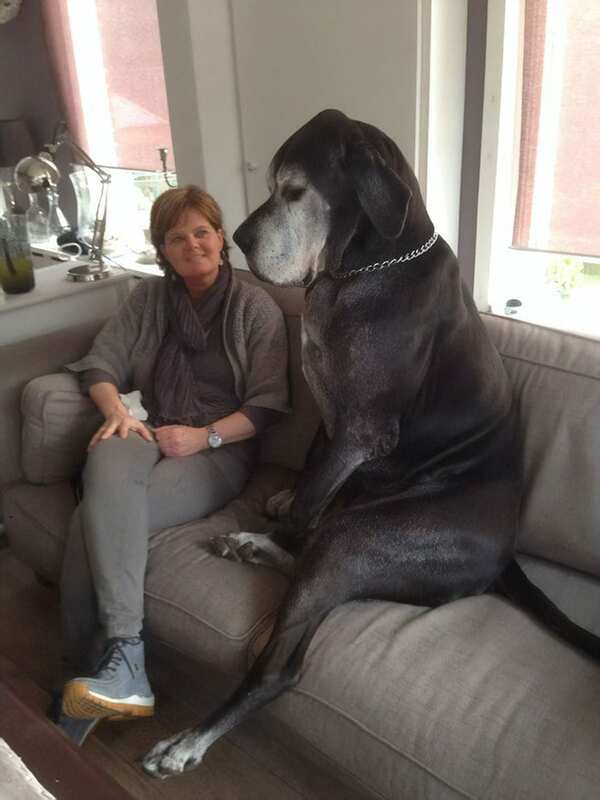 Judging by their size, it’s probably best not to try to share a couch. Then again, if you don’t have a choice, a good cuddle is always welcome, and occasionally you’ll get an epic photo out of it. We’re not sure what’s funnier here, the human with a dog head or the fact that the dog is winking at the camera. 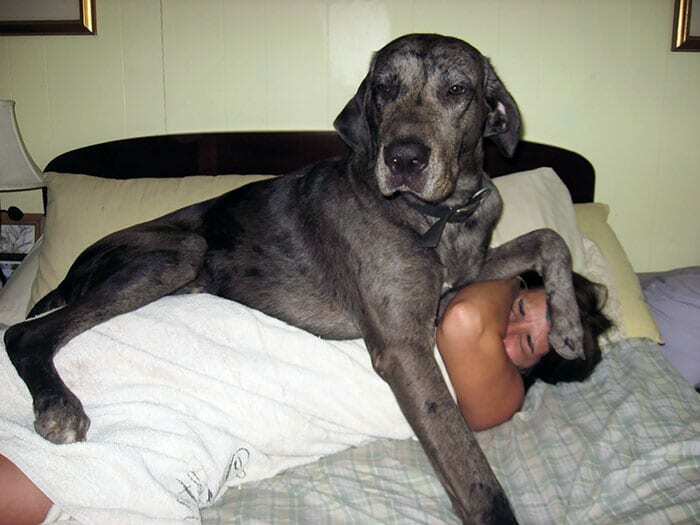 This Great Dane mix has some boundary issues but seems to think he’s helping his owner get some shut-eye. 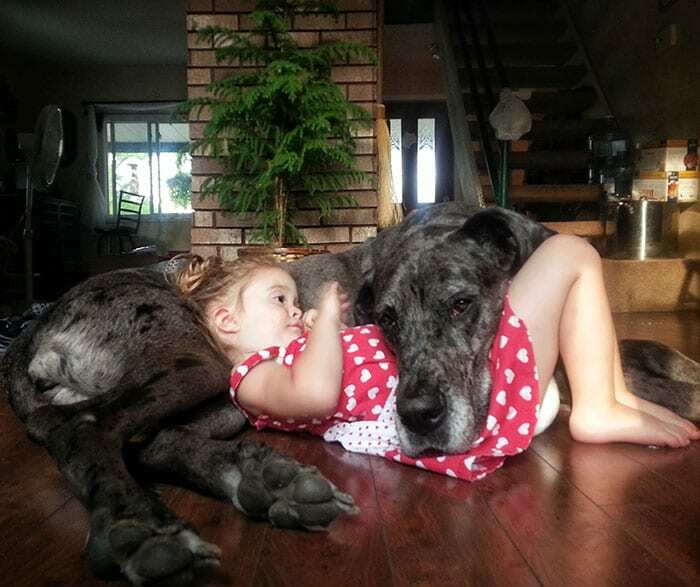 Their reputation as gentle giants is never more clear than when they’re around children. This kid talked his parents into going to the animal shelter to get a small dog. 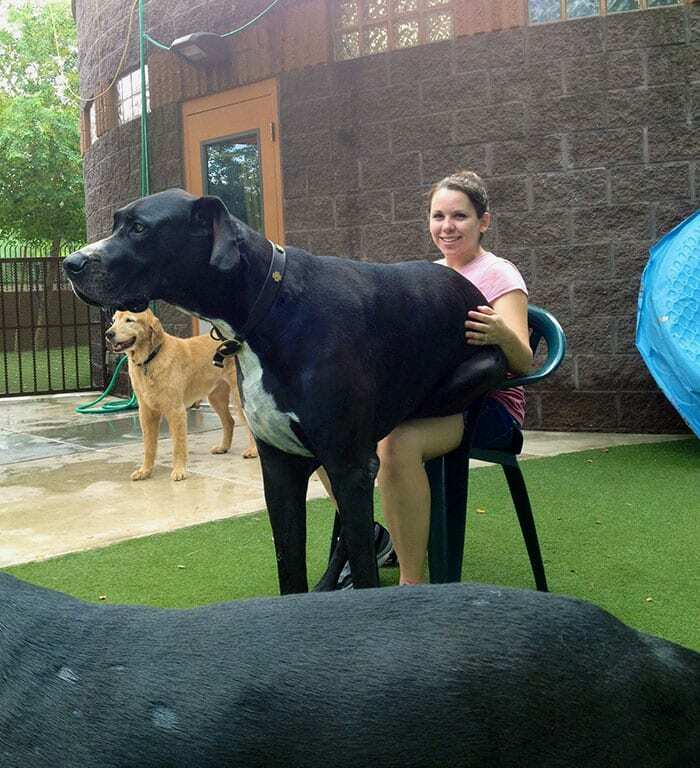 We’d hate to see what his idea of a big dog looks like! 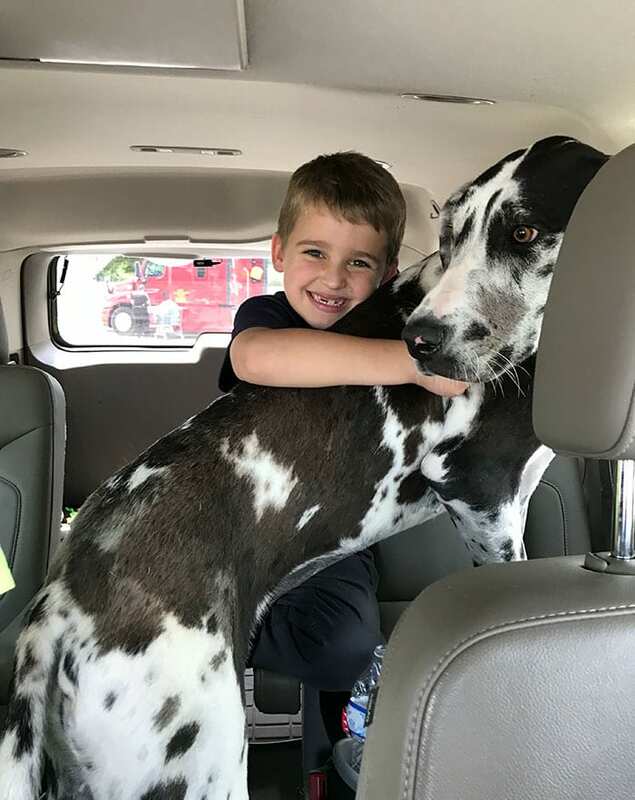 While one should never assume a dog is friendly, especially when kids are involved, properly-trained Great Danes can even be baby-friendly. And their love of tiny creatures is not limited to babies. How cute is this mismatched duo? 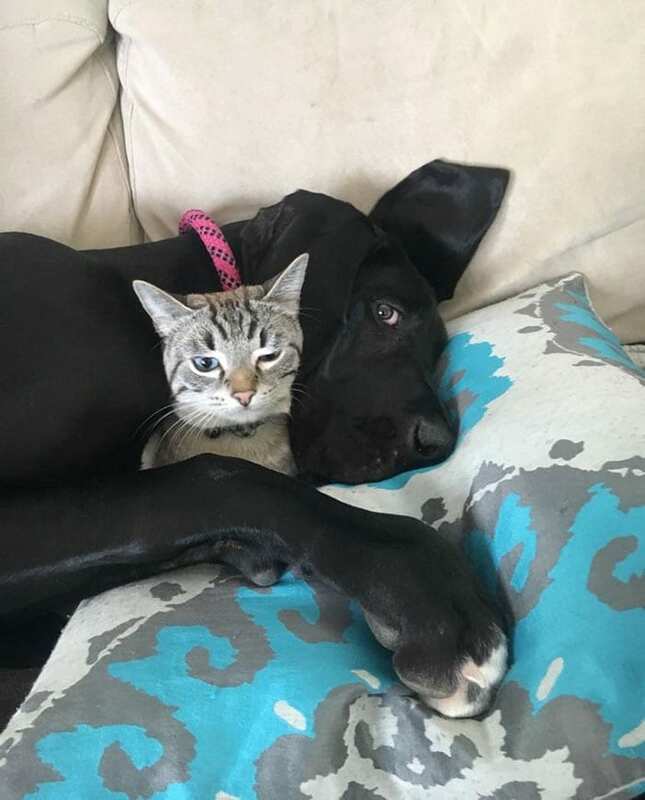 This pup is only 6 months old in this photo but has already found its BFF. We’re giving the cat extra credit for patience since we know that while it looks trapped, cats can get out of any situation if they really want to. 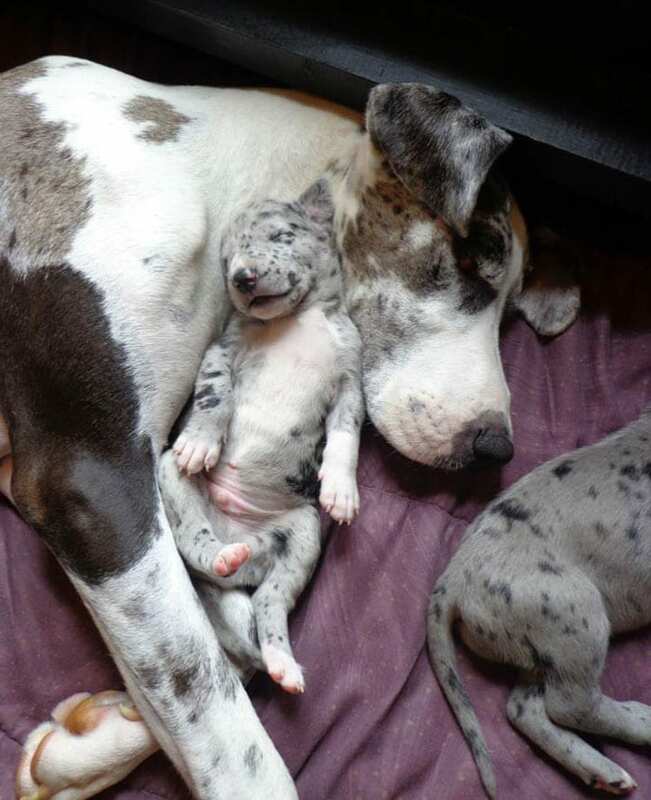 And how can your heart not be melting as you watch this momma snuggle her puppy, which is about the size of her head? We’re not sure which one we want more – the dog or the deer. 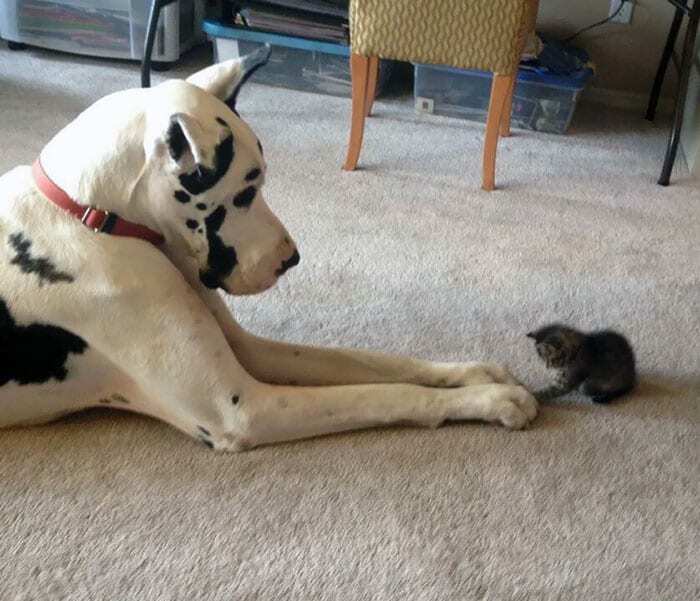 If you’re dying for a Great Dane now, we don’t blame you. Just know what you’re getting into if you adopt one as a puppy. They can grow a lot bigger than the average size! 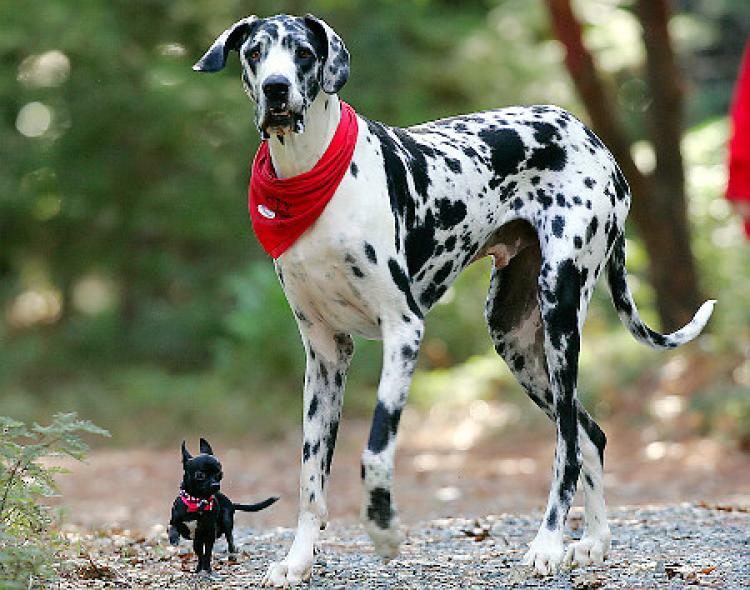 This is Gibson, a beautiful harlequin Dane who was the World’s Tallest Great Dane from 2006-2009, measuring 7’1″ in length. Imagine sharing your bed with him! 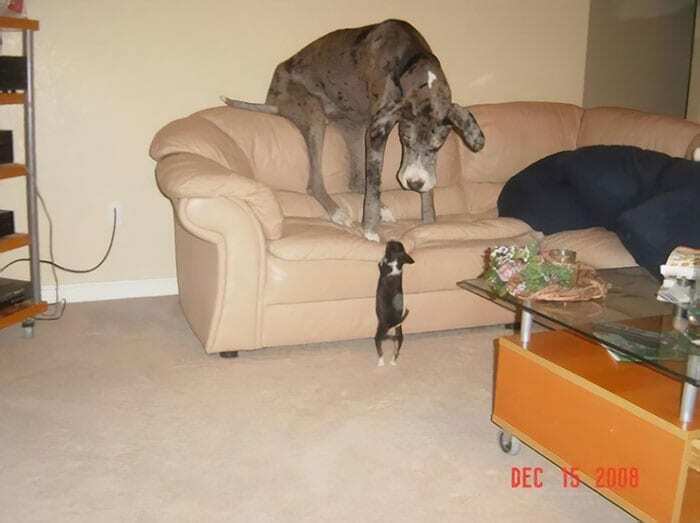 And remember that big dogs can get into just about anything, including your food. 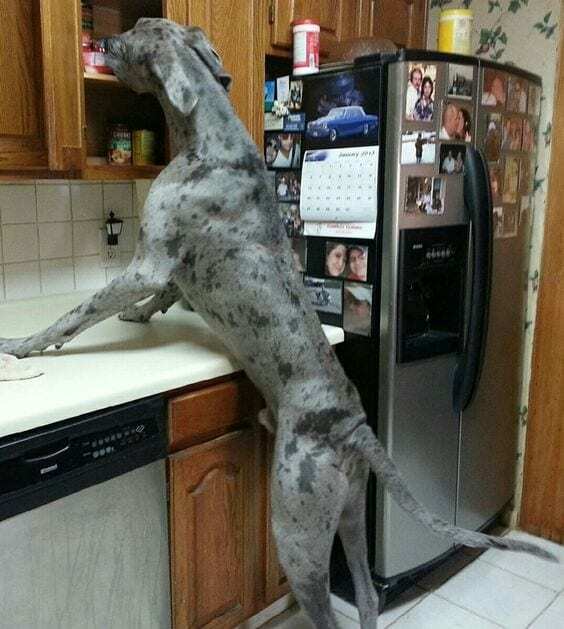 No countertop is safe from a dog that can easily lay its head there and sniff out tonight’s dinner. 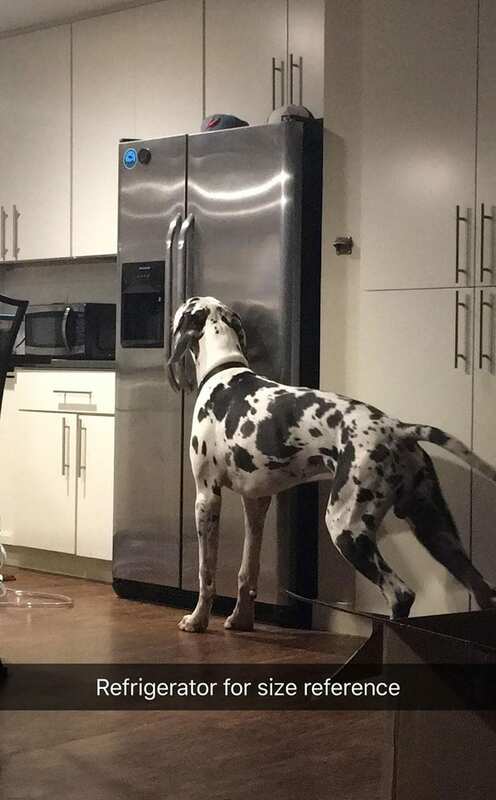 Howard is only a year old in this photo, but weighs 180lbs and can easily reach the top of the fridge if he wants to. How many hiding spots do you think will be left in this house if he grows any more? Dexter has learned how to fetch his own treats straight from his owners’ cupboards. This handsome merle isn’t going to wait around for feeding time. 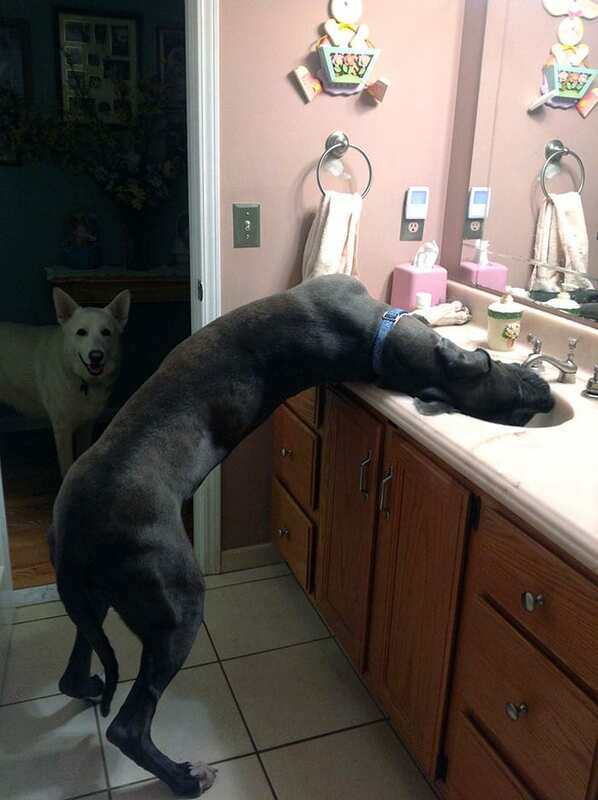 And this blue Dane is happy to get its own water. No water dish necessary – the sink will be just fine. 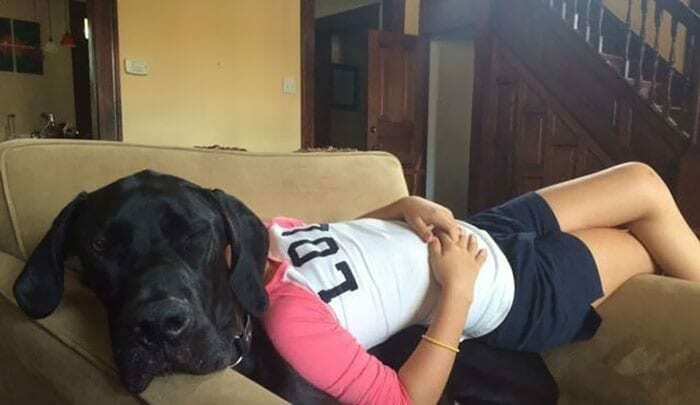 No matter how big a Great Dane gets, they’ll always be convinced they’re lap dogs. It’s part of their charm. 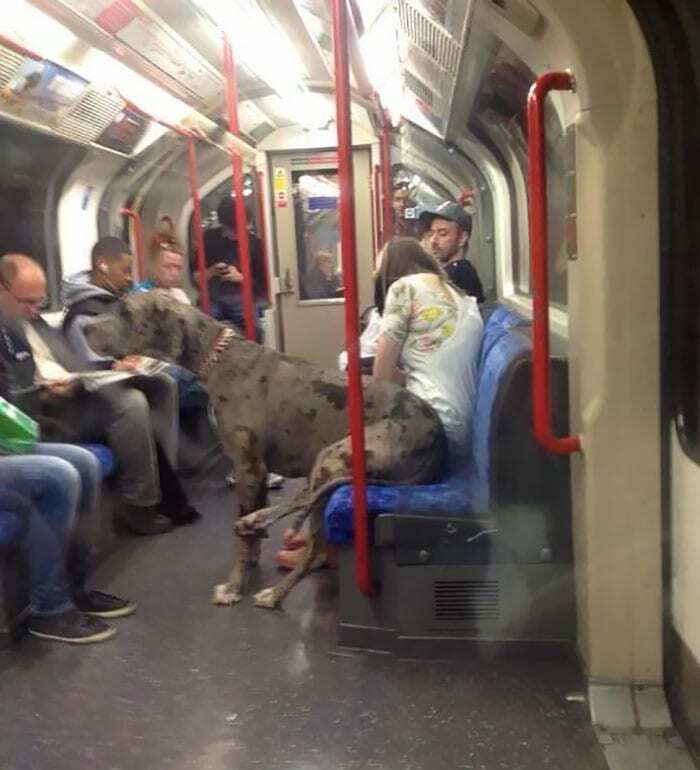 Do you think this dog has its own ticket to ride the London Tube? Comfort is subjective – this guy looks pretty content, though we’re not sure about this owner. This big girl is either unaware of her size or unwilling to acknowledge it. And if you think these dogs look big, check out Giant George! George was so big that the Internet doubted his existence, or at least thought photos of him had been doctored. But the website Hoax Slayer put rumors to rest and confirmed that this guy is, in fact, a whopping 7 feet long and 245lbs (although, to be honest, that seems like a modest weight). 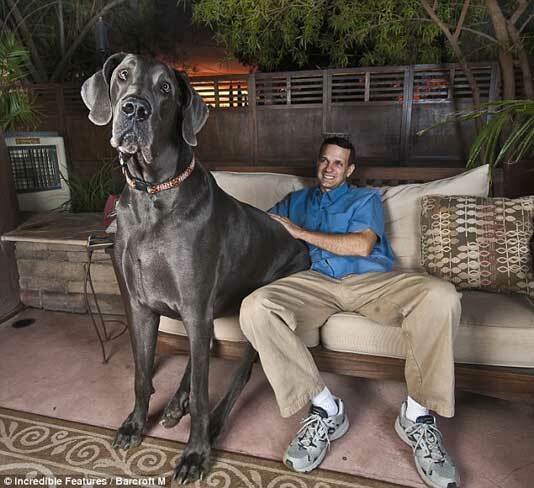 While George passed away in 2013, he was the Guinness Book of World Record’s Tallest Dog on Earth from 2010-2012. 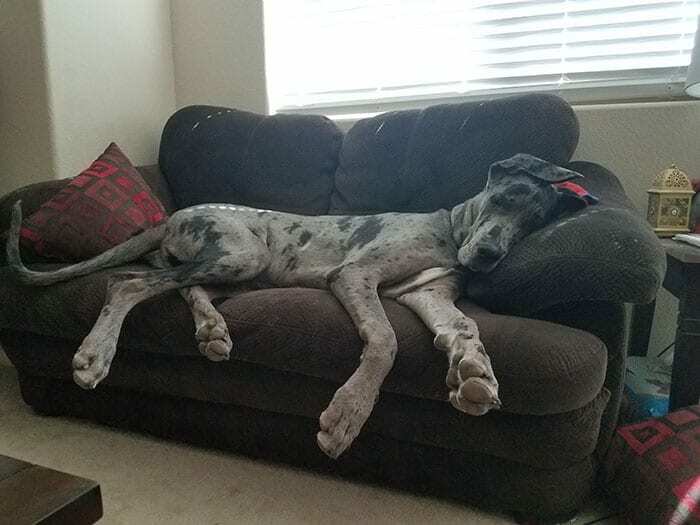 We’re pretty amazed that Great Danes fit into the lives and homes of so many people. But if these pictures prove anything, it’s that they’re adorable and loyal companions with hearts as big as their heads.